4. If you want to add these to all of your entries just click edit and then select add to all entries before clicking update field. 5. You can also add attachments to these fields, which is perfect for privacy policies. 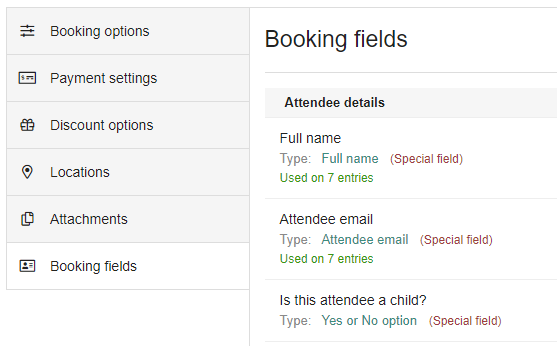 If you go to the bookings tab, you can download attendances (by clicking options). You'll be able to see which customers have consented to what. This data can also be viewed on the customer list.